Located in the heart of Chicago's Gold Coast, Thompson Chicago is a stylish retreat specializing in personalized service, curated amenities, and residential comforts. Located just steps from Michigan Avenue, boutiques on Oak Street, and downtown's finest dining and nightlife destinations, the hotel boasts prominent views of the city and Lake Michigan as well as tech-savvy amenities, including built-in bedside USB chargers and rooms with individually dedicated ISP addresses. Encouraging exploration of the city's varied personalities, while providing comfort, freedom, and privacy, the property elevates hospitality and ushers in a new generation of Gold Coast travelers. Its residential feel and classic locale convey an inclusive, yet upscale environment that simply feels like home. 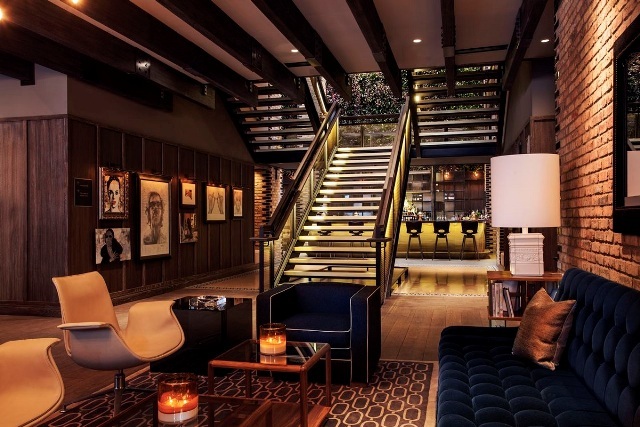 The 247-room hotel features bold interior architecture and rich accents by acclaimed British designer Tara Bernerd. Situated off of the lobby is the signature Italian seafood-driven restaurant, Nico Osteria, by One Off Hospitality. The Thompson Chicago is also an exclusive partner with Lexus, offering their guests complimentary house-car services and a complimentary rental program. Whitney joins the Thompson Chicago team with experience across the Chicago market. This summer, book with Whitney to receive 3 comp upgrades at the group rate, 3 comp amenities, and 15% commission on all bookings through August 30, 2017, based upon availability.